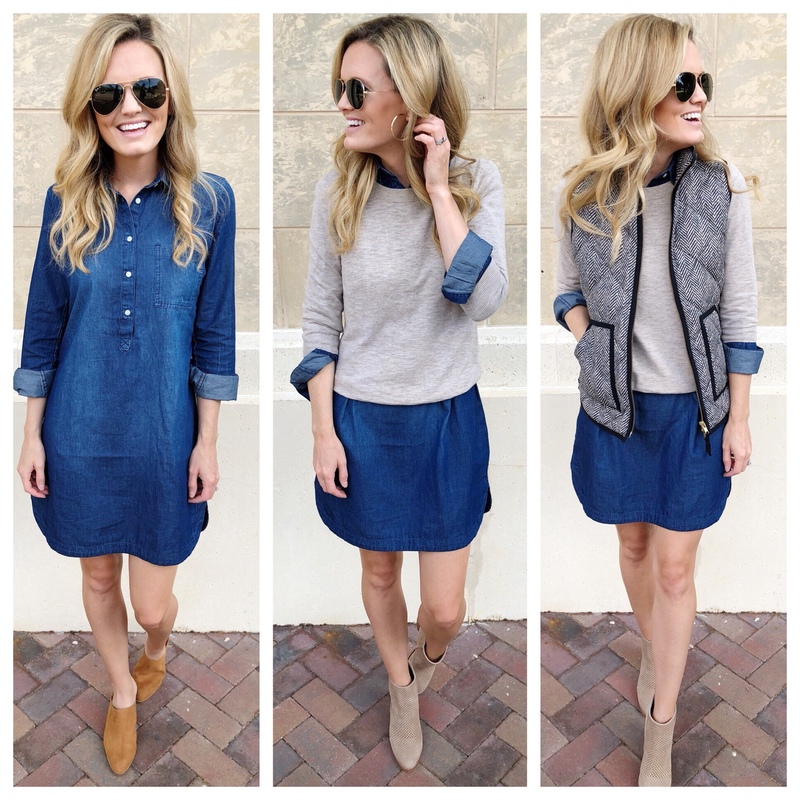 Transitional Chambray Shirt Dress – 3 Ways! Hellloooo friends! How was your weekend!? Our Sunday didn’t go as planned but I ended up being completely ok with it. We had friends over to our community water park Saturday evening so there was lots of swimming involved. The little guy was finally jumping in going under the water! Yay for him! When we put him down that night, within an hour he woke up screaming crying saying his ear was hurting him. I knew right away it was probably swimmer’s ear. He has had tubes since he was 8 months old so I was pretty nervous to put the good ol’ fashioned white vinegar and rubbing alcohol. I stuck with tylenol and ended up getting about 4 hours of sleep. If you know me, that’s not enough for me to function completely the next day. I called the doctor as soon as I could Sunday morning and they said to bring him in to get his ears checked. And yup it was swimmer’s ear and she said good thing I didn’t do the vinegar and rubbing alcohol because that’s for when his tubes are out! So we took it super easy Sunday with naps and lots of lazy time. I definitely didn’t mind! I stopped by Old Navy last week and man their stuff is good! I was talking to a friend and told her how I can go into Old Navy around this time every year and stock up on some amazing staple pieces! And I did just that! 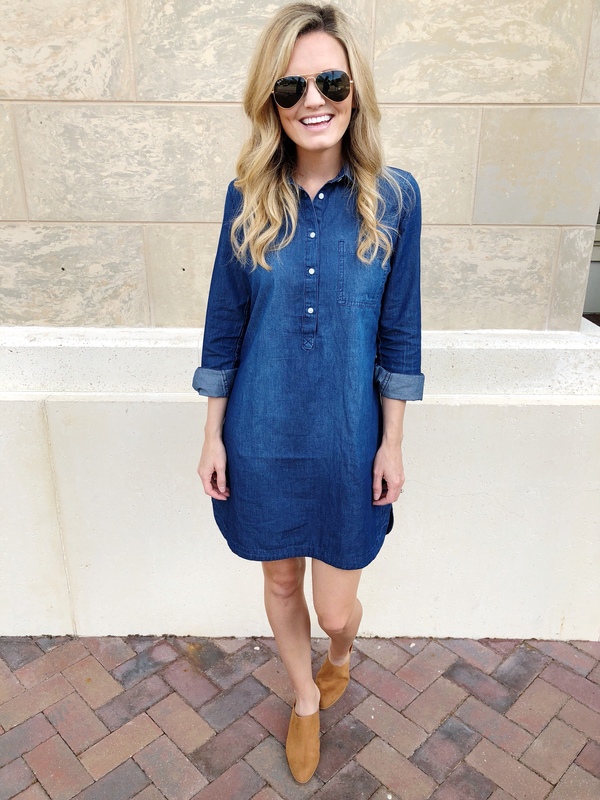 This chambray shirt dress was one of the items that came home with me. It’s on sale today for $25 with the code SWEET. I also added everything else I took home at the end of the post! 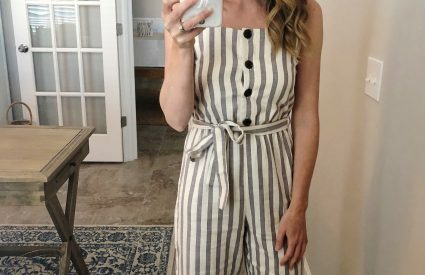 I knew that I wanted to figure out a way to wear this dress multiple ways to transition to fall. I love how easy it is to just add layers as it gets cooler. When I put the full look together, I forgot just how preppy and casual my style can be. 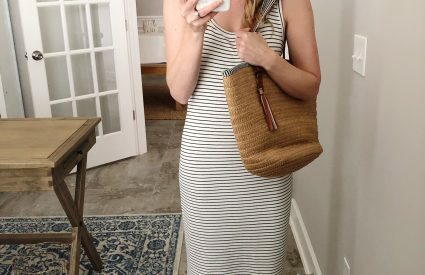 For the first look, I added simple and easy mules that you can wear now while it’s still warm out. This is a dress I would wear on the weekends for errands/church or out to lunch. This is also a great dress to wear for casual Friday or if you are a teacher. I threw on my best hoop earrings to complete the outfit! Next up, another super easy way is to throw a crew-neck sweater over it. I have had this sweater for a few years now and reach for it every year. It’s no longer in stock, so I linked a really similar one here. I also switched out the mules for these booties. And lastly, I added my all time favorite puffer vest! It’s still going strong after about 3 years! It has been so popular in the past that I am sure you have seen it! It’s sold out at the retailer I purchased it from a few years ago but found it here! Even if it’s not in “style” anymore, I am going to keep wearing it! 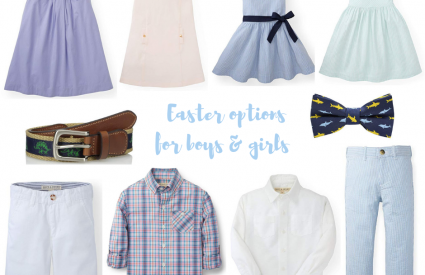 Here are a few items from Old Navy that I have added to my closet recently!